See more objects with the color dimgrey darkgrey darkslategrey lightslategrey indianred or see all the colors for this object. This is a Teapot and lid. It was created by Bente Sætrang and Lisbet Dæhlin. It is dated 1984 and we acquired it in 1985. 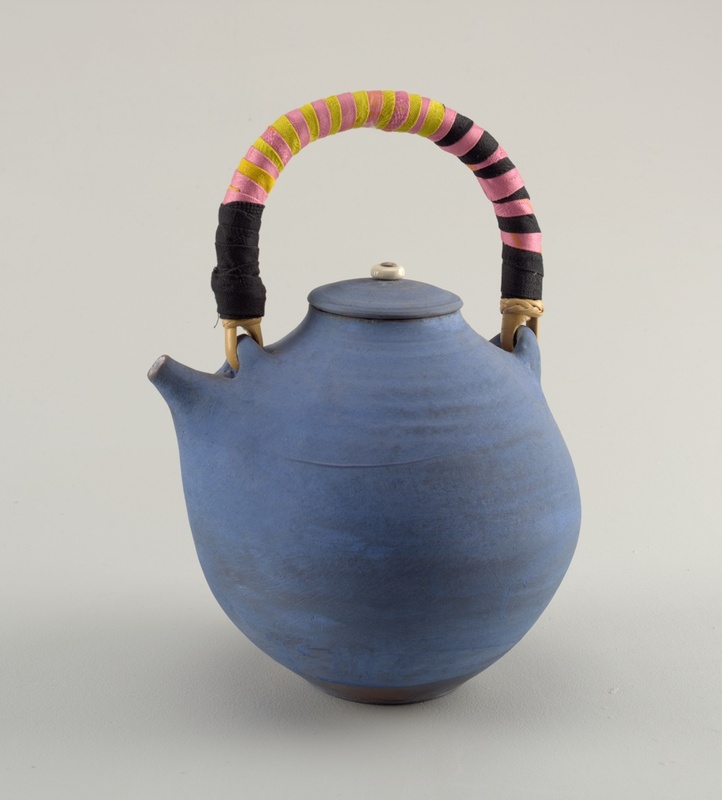 Its medium is glazed earthenware, bamboo, fabric, metal. It is a part of the Product Design and Decorative Arts department. This object was donated by Eduardo Garrido and Lisbet Dæhlin and catalogued by David McFadden. It is credited Gift of Eduardo Garrido and Lisbet Dæhlin. Inscribed on unglazed underside of base: "Lisbet" in script.